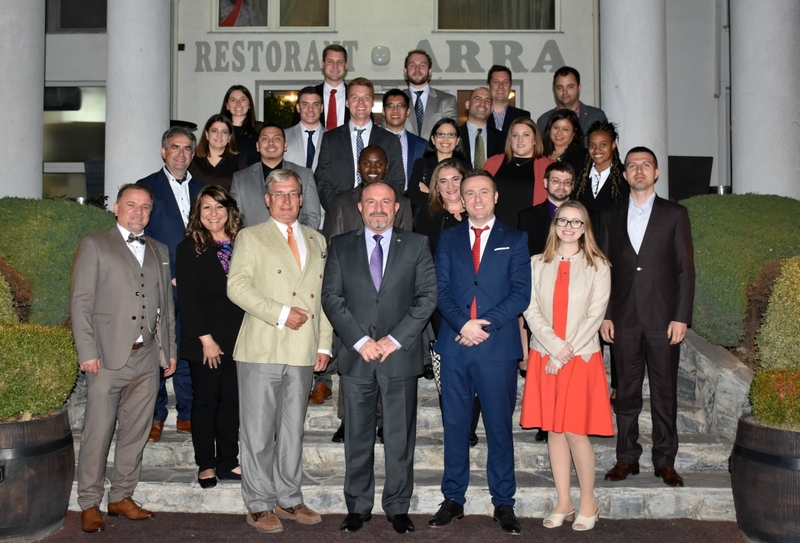 A group of students from the Northern Illinois University’s Management Business Administration (MBA), within the visits to various Macedonian companies, also visited the University of Tetova. This visit was led by Prof. Dr. Jens Mueller and the director of student services at NIU’s Faculty of Economics, Burim Ramadani. At the University of Tetova they were welcomed by the Vice-Rector for International Cooperation, Prof. Dr. Arbër Çeliku and representatives of the Office for Science and Innovation and discussed on the methodology of various study programs, on the cooperation between the students of both universities, etc. The Northern Illinois University and the University of Tetova have excellent intercollegiate cooperation in many scientific fields, among which it is worth mentioning the opening of joint Master’s studies in Business Administration, the organization of joint study conferences and participation in several scientific-research projects.